Stephanie Rosalind P. Caragos - Syntactics Inc.
Stephanie has been running Syntactics, Inc. as its President and CEO for 16 years and counting, and she didn’t just stop there. With a degree in Information Management and driven by a passion for IT and business, Stephanie works to help clients achieve their business goals through innovative, online solutions. Her skills and expertise include BPO Business Management, Online Marketing and Consultancy, Business IT Analysis, Website Optimization, Online Applications Designing and Project Management, and Database Design and Management among others. 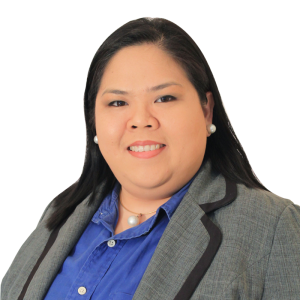 She’s particularly supportive of Filipino Small and Medium Enterprises, but is always open to lend a helping hand to all types of businesses in need. She has shared her knowledge and skills in online marketing, web and IT through various speaking engagements over the years, thus making her the ICT Champion of the Year 2014.